Can you believe 2015 is only hours away? 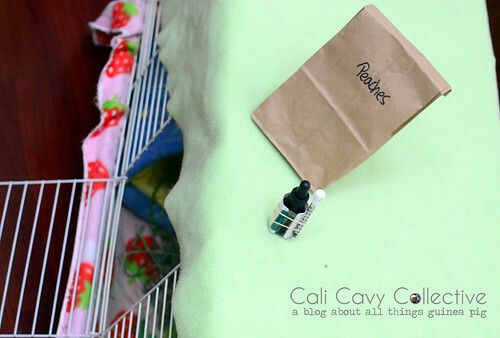 I know I'm not quite ready yet - there are pig toenails to be trimmed, cages to be cleaned, and one last adventure to be embarked upon. We'll be closing out 2014 by snowshoeing around snowcapped volcanoes while the girls remain snug and cozy at home. 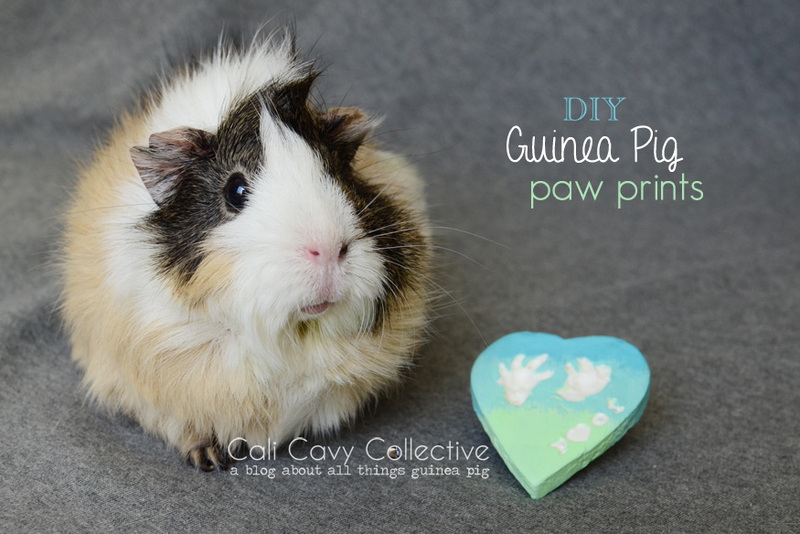 Whether you're a new visitor or a longtime reader, here's a look back at some of your favorite guinea pig articles from the past year. 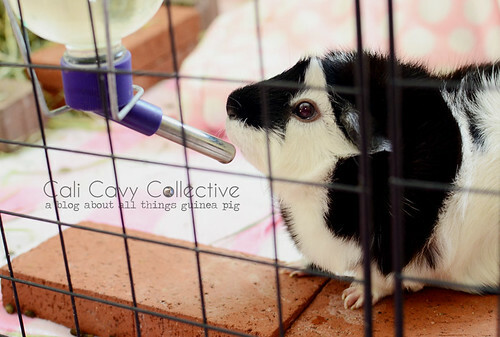 8 reasons why your pig should be drinking from a glass water bottle. 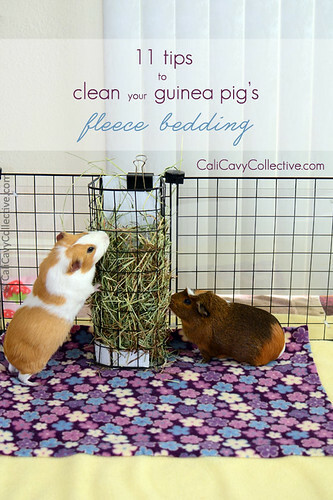 11 tips to spotless fleece bedding. Until five minutes after your pigs get back on it, of course. 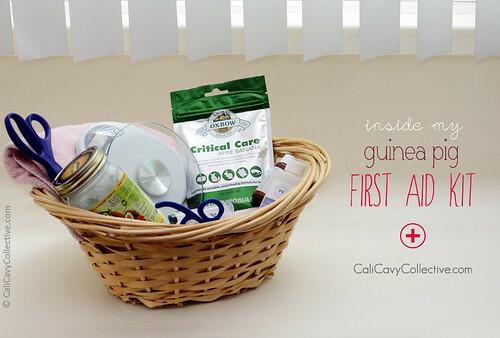 A look inside my guinea pig first aid kit. 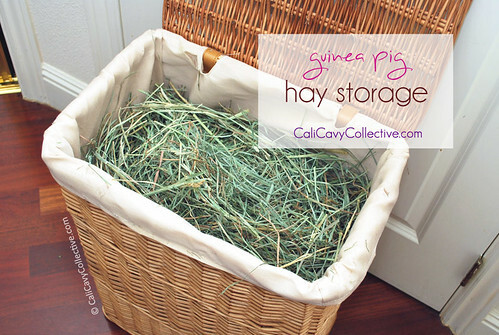 A functional and aesthetically pleasing hay storage solution. 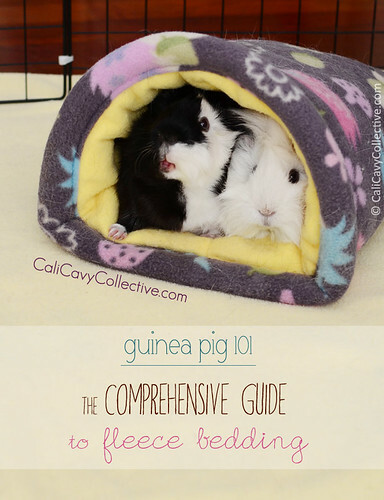 Everything you need to know about using fleece bedding. Abby-Roo ended up loving these pig-sized pillows. The cuteness..! 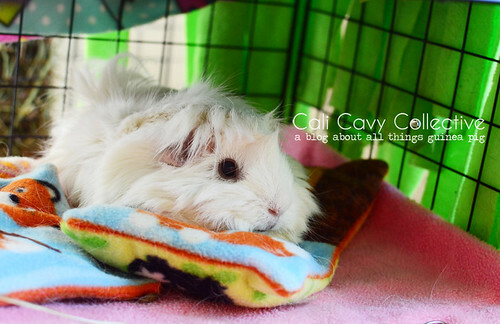 After bravely battling malocclusion, our beloved Peaches left for Rainbow Bridge in July. We miss her dearly and know she must be happy finally being able to eat everything in sight again. 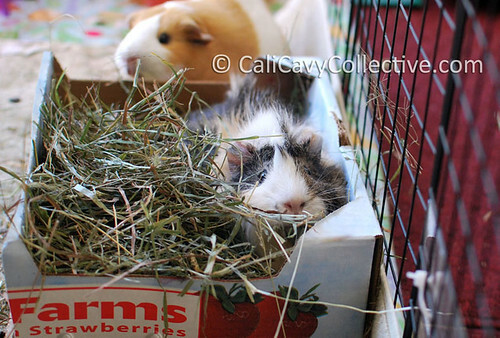 DIY guinea pig toy: a box of hay. 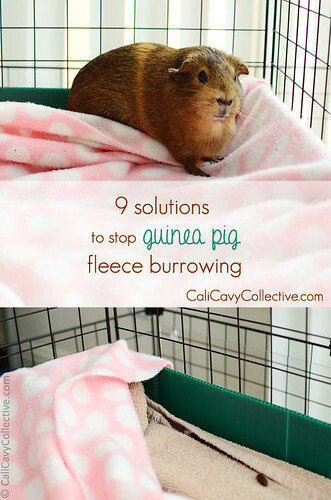 9 solutions to prevent fleece burrowing. Consider yourself lucky if you don't need to resort to these.